The Continental Tyres Womens National League returned this weekend as the female Colleges and Universities students can place their undivided attention on their football whilst they enjoy their summer break. 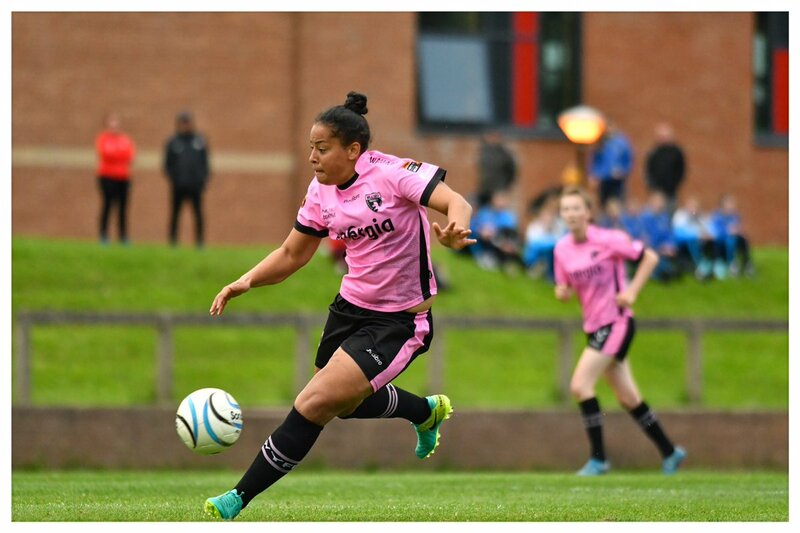 Wexford Youths & IT Carlow forward Rianna Jarrett made her comeback from long-term injury with a run out against Galway in the UL Bowl. The game was part of the 2017 Fota Island Resort Gaynor Tournament which meant she received an extra-special reaction to her introduction from the youngsters that revere her. UCD's Sinead Gaynor got on the scoresheet for her side in their heavy defeat of Kilkenny. The win leaves Waves two points off leaders Peamount United. Former U17 international Nadine Maher made her Kilkenny debut in goals. Maher has been US-based in recent years while studying with Oakland University but is currently at home during her summer break from studies.